Whether you are hosting a Christmas party or having family and friends over to spend time together, you will need some special Christmas treats to put a smile on the faces of those you love. This book is full of tasty Christmas recipes that will liven up any party. 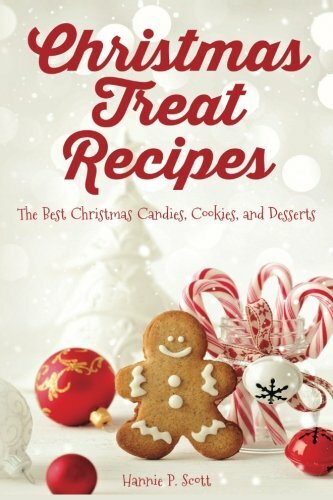 Included are recipes for Christmas candies, cookies, cakes, desserts, and amazing holiday drinks! Quick and Easy Recipes Everyone Will LOVE! This book is full of awesome holiday recipes everyone in the family will love. The recipes are fun for kids and grownups! If you have a sweet tooth, you are going to especially enjoy this book. All the recipes are easy to understand and simple to make, so there is no cooking experience required! Scroll up and click ‘buy’ to start making delicious Christmas treats today!